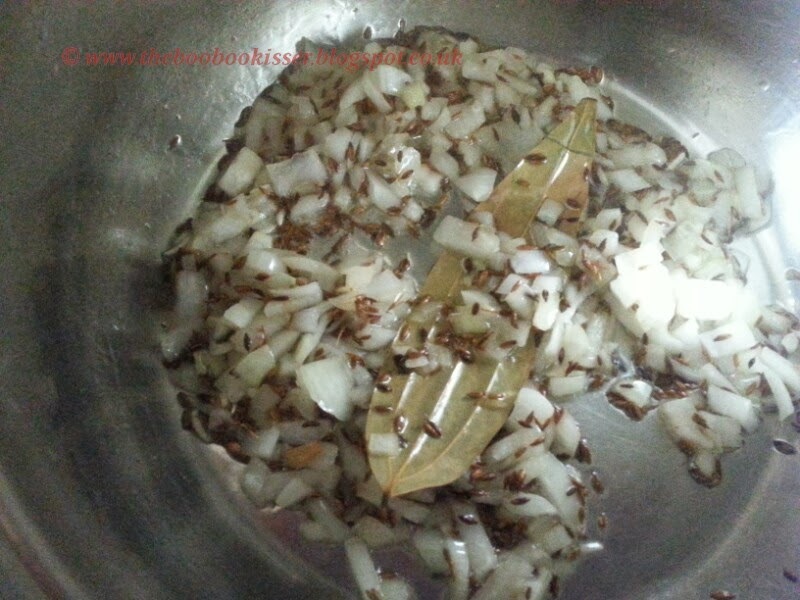 Cumin is a staple spice in any kitchen of Indian origin. So goes without saying, it is omnipresent in my kitchen and in my cooking. I grew up eating a lot of cumin rice. It is extremely popular as a main course through large parts of India. 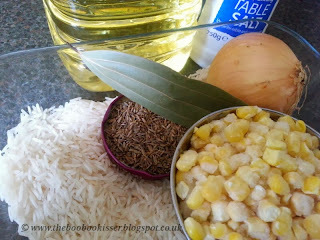 This is my take on the traditional cumin rice, but with an innovative twist. I have discovered that adding sweetcorn makes for a far more exciting dish. Wash the rice to get rid of all the excess starch. This stops the grains sticking and clumping when cooked. It just helps to make the rice fluffy and look prettier. Nothing more. Let the rice soak for about half an hour, 20 minutes if you are in an absolute rush. Heat the oil in a large saucepan or pot. Once it is really hot, add the cumin seeds. They should start browning and spluttering straight away. Reduce the heat and let the cumin brown for about a minute. You will know it is done by the aroma invading your nostrils. Don't let it burn. 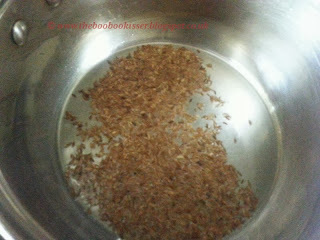 If you think the oil is too hot and the seeds are burning, just remove the pan from the hob for a bit. Pop in the bay leaf. Stir it around till it changes colour. This should take around 30 seconds. Now put in the chopped onions. Let them sweat for 3-4 minutes till they become soft and translucent. Just make sure they don't go brown and crispy. The water in your kettle should have boiled by now. 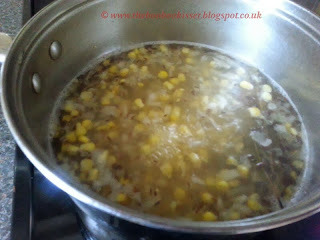 Pour in 4 cupfuls, add the salt and put in the sweetcorn. Cover the pan an let the corn cook for about 3 to 4 minutes. Once the corn is nearly cooked, add the soaked rice to the boiling water. Do not replace the cover from here on. 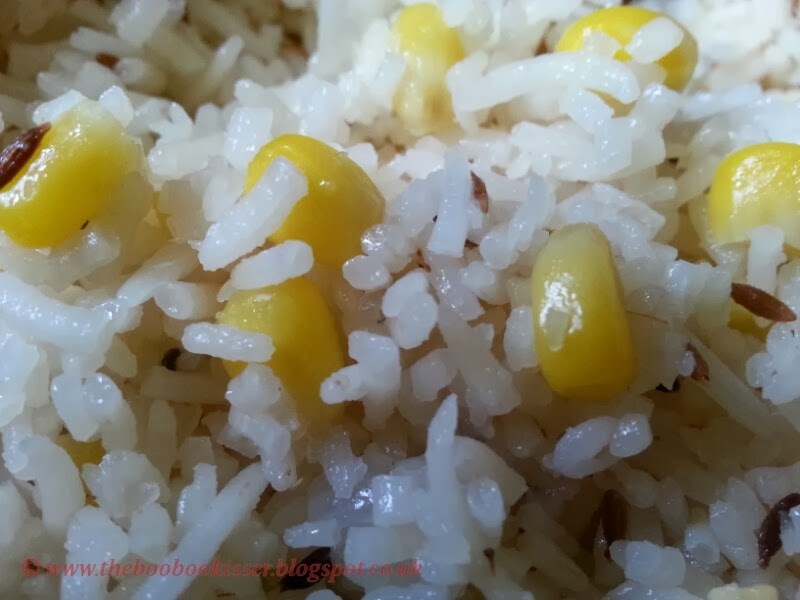 Let the rice cook in an open pan on a high heat. Once all the water is gone, you will start to see some pitting. Turn the heat down to low now, letting the rice just soak up all the steam. 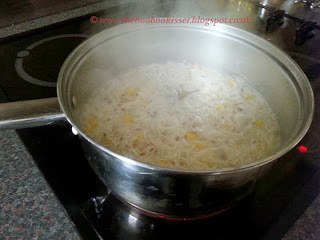 Give it a bit of a stir if you think it is starting to stick to the bottom of the pan. 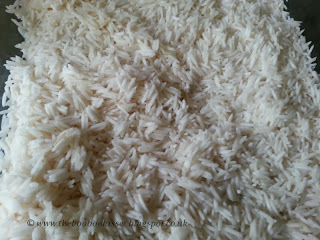 The rice should cook in about 7 to 10 minutes. That is it. Remove the pan from the heat. Do not cover till the pot has cooled down. You don't want to overcook the rice and make it go all sticky. Dish up and eat it. 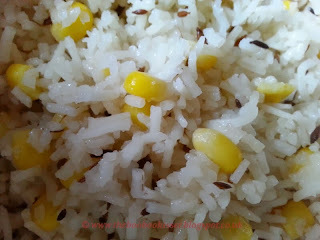 This corn and cumin rice is absolutely delicious eaten all on its own. You can also eat it with anything else you fancy. J loves it with a bit of cucumber raita on the side. Nice one :) Looks super yummy !! !